Geoff Michels has been a senior consultant within FIRST Advisers’ media practice since 2003 providing corporate affairs and financial media services to clients, as well as undertaking presentation and media skills training across a broad range of industries. He is a public relations, issues management, media and corporate affairs specialist, with more than 25 years’ experience. Geoff was previously a Director of Porter Novelli Australia, MD of Michels Warren and principal/founder of Michels Warren in London. Prior to that he worked in television and current affairs both as a reporter, producer and, ultimately, national editor. As a recognised leader in the public relations industry, Geoff offers our clients a depth of experience across a range of industries. He provides communications counsel and support for a top tier Australian bank and recently conducted an audit of the communications function for major financial advisory group. He has extensive experience in oil and gas through services provided over many years, initially to Esso Australia but also including Mobil and, over the past few years, Caltex Australia. During his time in the UK, Geoff managed all the external relations for a major food company (United Biscuits) from mid 1998 to mid-2001 as well as the communications for UK Interconnector – the gas pipeline linking mainland Europe with the UK. In Australia he has consulted to Dairy Australia & Australian Dairy Farmers on major issues affecting the industry. 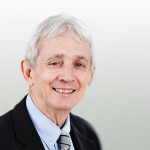 Geoff is a fellow of the Public Relations Institute of Australia and a Member and former National Councillor, International Public Relations Association (London). Geoff reads widely; writes fiction; plays piano (badly but wants to play well) and runs.